Home Android and iOS Game Apps Pokemon GO Tips and Guides Pokemon GO: Quick Walkthrough Guide - Lvl Up Fast and Catch Up! Pokemon GO: Quick Walkthrough Guide - Lvl Up Fast and Catch Up! 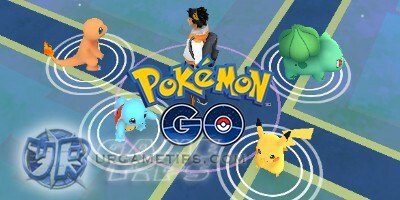 Here's a quick walkthrough guide for new Pokemon Trainers playing Pokemon GO, android and iOS game app. - Note that I will no longer explain all the basics, terminologies, and even how to throw your own balls hehe. So for new trainers, kindly refer to this guide first: FAQ, Tips, Tricks and Strategy Guide - Start Smart. The guide will also cover how to get Pikachu as your starter Pokemon. Important Reminder: DO NOT spend your Stardust until you reach late game, and save your Candies for boosting your Trainer Lvl at higher levels (more info about this below). - Each PokeStops activated will give 50XP, and will refresh every 5 minutes, so if possible, go to a location where you can find multiple PokeStops that are close to each other. - Sometimes, Trainers will use "Lure Modules" to lure all nearby Pokemon around PokeStops. Use this opportunity to grab more, because all Trainers nearby will also benefit from this effect. - If there are other PokeStops nearby with Lure Modules activated, rotate between them to catch more Pokemon. 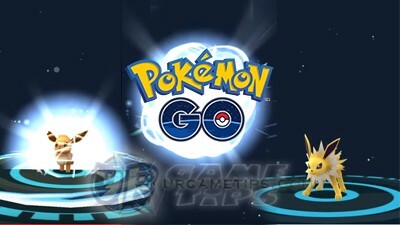 - Each Pokemon caught will net you 100XP, and 500XP for new Pokemon. - For Trainers that can afford to buy a Lucky Egg, use this opportunity to gain a boost, since all new Pokemon that you will catch from here are guaranteed new! (500XP*2 = 1000XP each). - For F2P Trainers, you can get free Lucky Eggs as a Lvl up Reward, so save your Lucky Eggs for later, and use them wisely! - Yes, limit it and only catch basic Pokemon that can be evolved. DO NOT capture their 1st and 2nd evolution phases, in case you encounter any of them, just run away. - Use this list as a guide and only capture Pokemon labeled with "green" color, or Pokemon that can be evolved with 12, 25, or 50 Candies: Pokemon Evolution List. - Now, your aim from here on is to farm Candies for mass evolving Pokemon at later levels. - Use the guide above ("link") and farm the required number of Candies for all basic Pokemon that you can. - Clefairy requires 50 Candies to evolve, 1 Clafairy captured will net you 3 Clefairy Candies, meet the requirement then focus on the next. It's ok to continue catching more, for XP and more Candies if there are no other available Pokemon around. - Weedle only requires 12 Candies to evolve, and it's next evolution phase requires 50. If you can gather at least 62 Weedle Candies, you can also evolve Weedle 2 times later. - Pidgey only requires 12 Candies, and is among the most common Pokemon around that you can catch. Here's the idea, for every 12 Pidgey Candies you have, save 1 Pidgey for evolving later on. - Note that evolving 1 Pokemon = 500XP. - Yup, transfer all Pokemon that you catch right away, since most of them will get low CP anyways. This will also save you time later, cleaning up your Pokemon inventory for space. - Transferred Pokemon will be converted to 1 Candy in return. - Save some high CP Pokemon though, especially those that can't evolve. Use them as Gym Pokemon for now until you get better ones. - For non-common Pokemon that you catch, you might want to check if they are worth keeping. - For more info about this, please refer to our guide here: Evolve or Power-up First? and here What Are IVs? - For Pokemon that doesn't evolve, you may catch them, especially when you don't have them yet on your PokeDex. After that, just ignore them because they will just burn your balls. Prioritize common Pokemon instead to farm more Candies. - If your location is pretty new and some Gyms are empty or contains weak Pokemon. You may use them as your Gym Pokemon for now, and since some of them will get higher CP than most of your common ones. - Prioritize and only hatch 2km Eggs first, then 5km Eggs. - Save at least 4 10km Eggs for later. Note that these 10km Eggs will be used to get some new Pokemon and not for getting high CP Pokemon. - Save your Blue Incubators, and only use the orange one ("unlimited use") for now, unless you want to spend real money though. This is where things will start to get really slow, and reaching Lvl 20+ means that you already reached the Lvls of most Trainers in the game. Now the only thing to do next is to give you the edge!, It's time to boost your Trainer Lvl and Pokemon team! - Depending on your progress collecting Candies for evolving, you may do these following methods as early as Lvl 17. If you still don't have enough Pokemon to evolve, take your time and collect more. - Note that it's ok to do this at any Lvl as long that you use a Lucky Egg. - 1 Lucky Egg will last for 30 minutes, and that should be enough to evolve around 60 to 70 Pokemon. Check the number of Pokemon that you can evolve and add up the total XP that you can earn. - Example: If you were able to gather 70,000 XP and do mass evolve at Lvl 17, you can jump from Lvl 17 to 20! For Lvl 20+, 1 Lvl jump is already good since it requires a higher amount of XP. - Best Time To Upgrade - Evolve or Power-up First? - The guide ("link") above will also explain which base Pokemon is best for evolving. - If you want to go on at Lvl 17, then you can lower the Stardust requirement above to 1,900. - For Pokemon that requires 12 or 25 Candies, you may choose any base Pokemon from the Wild, or get a better one too if you like, especially Eevee. Hatch 10km Eggs + Mass Evolve! - This is it! Once you are ready to evolve your Pokemon, ready up your Eggs to maximize your Lucky Egg's effect. Use all of your Incubators to simultaneously hatch some 10km Eggs. Track their remaining (km), and trigger your Lucky Egg once you think they are about to hatch, time it well though. - Right after triggering the Lucky Egg above, quickly go and mass evolve all of your Pokemon. While evolving, move around to let your 10km Eggs hatch too! - Now try and participate in Gym Battles. Hopefully, the Gyms around your location isn't far too strong for your team, but you should still be able to enter some of your Pokemon in your team's Gyms to help defend (if there is an available slot). - You can claim a daily bonus for every Gym you defend. - You may also receive a number of PokeCoins, used for purchasing items from the Shop. Yup, more Lucky Eggs for you! - From here on, continue and catch new sets of Pokemon ("or evolution slaves") for evolving, using the same method. - Start hatching fresh 10km Eggs to get a nice Pokemon with high CP rating (recommended Lvl 20+). - Continue and participate in Gym battles. 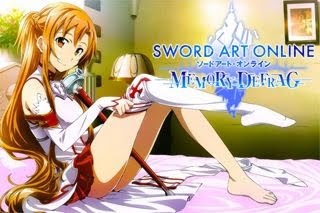 Nothing much to say here, since you probably have enough experience playing the game already. Just fully grind and level up your Trainer Lvl and Pokemon as you go. - Once your reach around Lvl 30, most Pokemon that you can catch from the wild will get a really high CP rating, so it's best to catch these Pokemon next, especially Snorlax and Lapras! - It looks like hatching Eggs at this point is not good at all, because the CP of Pokemon didn't noticeably go up from the Lvl 20s. Maybe we need to wait for another Tier of Eggs or after they implement some more game features. - Pokemon GO: Best Time To Upgrade - Evolve or Power-up First?